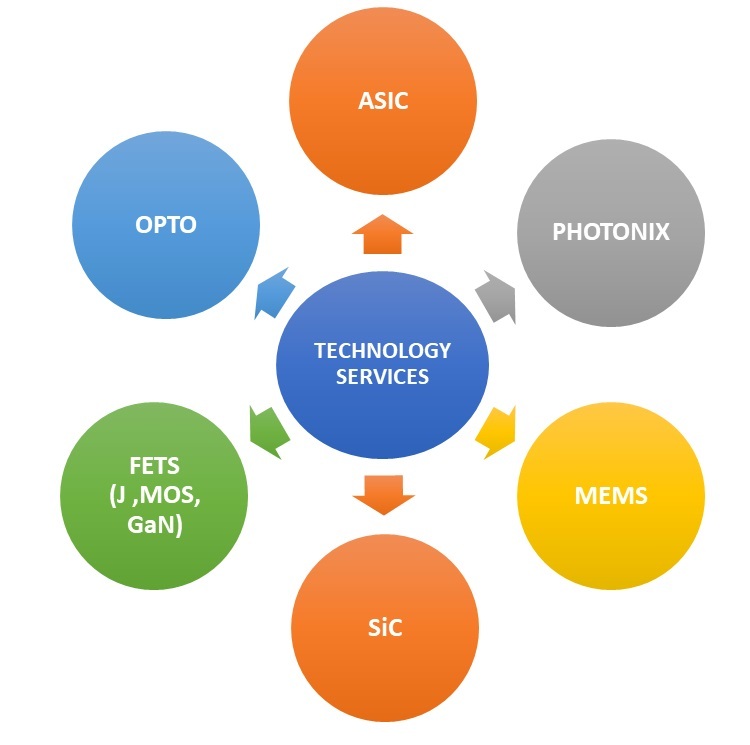 BiCMOS Foundry provides customized ASIC Semiconductor services, as a PURE FOUNDRY PARTNER, to customers worldwide for 4”, 5”, 6”, 8”, 125mmSQ and 156mmSQ wafers. BiCMOS Foundry is technologically broader and operationally stronger, with the acquisition of Quicksil Inc.. All processes formerly provided by Quicksil are now available at BiCMOS Foundry. BiCMOS is committed to outstanding customer service and advanced technology solutions. We call upon our talent network and global supply chain to satisfy fuller product requirements. We also invest in facilities, equipment & process upgrades to keep pace with evolving needs. Geometries ranging from 0.8u to 10u. Wafer sizes 4”,5”,6”,8” and 125mmSQ, 156mmSQ.